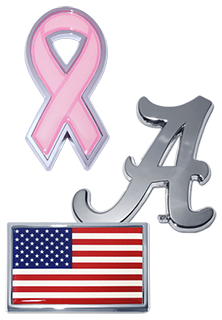 Our Auto Emblems are a great accessory for your car. We have several styles from, sports, military, comics, and more. Each one is packaged perfectly for you to display in your lobby. Come check them out! We have the lowest prices in the nation~GUARANTEED!